The opening plenary session Thursday morning, The Changes Ahead in Certification, explores what the future holds for the R2 and e-Stewards certification standards. R2 recently released R2:2013, which greatly increases the oversight and quality assurance tools critical to a voluntary certification program. With a more stringent, accountable program, R2:2013 can be put into practice anywhere in the world. During the session, which takes place from 8:30 – 10 a.m. in National Ballrooms A-D, R2 Solutions’ John Lingelbach will discuss the changes and what else lies ahead. For a preview of what Lingelbach will talk about, check out his article in the July/August issue of Scrap magazine. PCRR, an electronics recycler and refurbisher in Chicago, has become the latest company to commit to a higher standard of business and ethical operations by achieving RIOS™ certification. The company already maintains R2 certification, achieved in 2012; with the latest announcement, PCRR is an R2/RIOS™ certified electronics recycler. PCRR, founded in 2000, primarily focuses on the reuse of used electronic equipment and is a Microsoft® Authorized Refurbisher. The company is the largest computer refurbisher in Illinois and one of the largest in the country. RIOS™ serves as an alternative to the combination of ISO 9001, ISO 14001 and OHSAS 18001 standards. To earn RIOS™ certification, PCRR underwent a third-party audit to verify compliance with quality, environmental, health and safety standards. R2/RIOS™ certified recycling facilities have experienced significant positive results, including new business opportunities, improved employee retention and increased bottom line. For additional information on R2/RIOS™ certification, visit www.isri.org/certifyme. For more information on the company, visit www.pcrr.com, or call (800) 939-6000. With warmer weather approaching, the annual spring cleaning of American homes is about to begin. This year, instead of dusting around that old TV set that’s doubling as an end stand or moving your cache of unwanted cell phones to another drawer, seek out an R2-certified electronics recycler to handle your personal recyclables stockpile. The U.S. Environmental Protection Agency estimates that the American public has something along the order of 70.5 million computers in storage; they’re joined by 40.2 million computer displays and 105 million TV sets. That adds up to tons upon tons of electronic devices – and we haven’t even considered the 57.8 million mobile devices the EPA estimated in its baseline report. What would happen if every household in America decided to recycle just one of the old TV sets or mobile phones that are laying about their house? The report probably understates the true volume of electronics stored in the home, says Robin Ingenthorn, owner of Good Point Recycling in Vermont, especially when looking at the households with 20 or more devices lying about. Now, compare that to an area like San Francisco, where 72 percent of the waste stream is recycled. Residents in recycle-friendly states are more likely to go the extra step and recycle electronics if they are already accustomed to sorting cans and bottles. This spring, clear out the clutter, dust the blinds, and recycle that old TV and cellphone cache with an R2/RIOS certified recycler. For more information on electronics recycling and R2 certification, click here. AER Worldwide, headquartered in Fremont, Ca., has received Responsible Recycling certification at three of its worldwide facilities, according to R2 Solutions. The company has facilities in Asia, Europe and North America. The three facilities mean that 301 electronics recycling facilities are now certified to the standard. Growth in the certification has been brisk this year; 200 facilities were certified in May 2012, meaning the standard has seen growth of 50 percent in six months. Facilities have been certified to the R2 standard since 2010. The Responsible Recycling (R2) certification was developed through a two and a half year process that involved the U.S. Environmental Protection Agency and industry stakeholders. R2 requires recyclers to manage materials properly to protect the environment, human health and safety, and prohibit illegal export of hazardous materials. The standard is supported by government, manufacturer, recycler and non-governmental organization stakeholders. R2 is getting an update – R2 Solutions, the body which oversees the standard, is currently seeking comment on R2:2013. For more information on R2/RIOS™ standards, visit The Institute of Scrap Recycling Industry’s new website at www.isri.org/certifyme. With the holiday shopping season in full swing – and electronics on the top of Santa’s gift list – many organizations are staging electronics recycling drives in December to capture some of the old mobile phones, laptops and tablets that are being replaced. It’s important to recycle – and not throw away – unwanted electronics. By now, most Americans should know, or at least have a basic feeling that, throwing electronics in the trash is wrong. Perhaps it’s a belief that something that expensive should have some residual value, or the (correct) notion that burying the high-tech components in a landfill could allow potentially harmful substances can leach out into groundwater. For whatever the reason, Americans are slowly, but surely, beginning to recycle their electronics as automatically as they separate cans, bottles and paper from their household waste. But is it enough to simply drive electronics down to the city collection point? How many people take the time to find out who is recycling their electronics, and if it’s being done responsibly? Top recyclers say it’s important for everyone to ensure their electronics are being handled responsibly. Residents, for example, should not hesitate to question how their elected officials selected electronics recyclers for government-sponsored collection events. Do the recyclers have data security protocols in place? Are they certified to industry standards? Will the material be processed in a manner that is safe for the environment and the workers handling it? In many states, especially those with electronics recycling mandates or producer responsibility laws, state legislatures have set up a minimum requirement for recyclers accepting material from state agencies; in Pennsylvania and the newly-enacted electronics recycling program, electronics recyclers must hold Responsible Recycling or other industry certifications, in addition to meeting other requirements, to participate in the state EPR program. Other states, however, take a laissez-faire approach. For example, in Ohio, while individual businesses or local governments may set their own rules regarding who may handle their obsolete and unwanted escrap, there are no state-wide rules or regulations. That means, potentially, the electronics being collected by the community electronics drive could be handled in an unsafe or insecure manner – and such an occurrence isn’t unheard of, given the vast troves of online information available on how to protect personal information on old phones and laptops. If you are thinking of recycling your mobile phone or other electronics, first and foremost, consider working with a recycler who is certified to the R2/RIOS™ standards. For more information on certification, visit The Institute of Scrap Recycling Industry’s new website at www.isri.org/certifyme. Is the collection method secure? What steps have been taken to protect the data on the devices before they are recycled? Does the recycler have data protection protocols? Is the recycler certified? Will the environment and employees be protected while the electronics are recycled? The Responsible Recycling (R2) certification for electronics recyclers has been granted to the first public body. Waste Commission of Scott County’s Electronic Demanufacturing Facility has achieved Responsible Recycling (R2) certification Aug. 20, the facility’s operators announced. “We are proud to be the first R2-certified facility in the state of Iowa,” Keith Krambeck, special waste manager for Waste Commission of Scott County said in a press release dated Aug. 20. “Becoming R2-certified was one of the goals of the Commission’s Environmental, Health and Safety Management System through the Iowa Department of Natural Resources. While we already had an EHSMS in place, the R2 Standard was much more rigorous and our staff worked extremely hard to meet those requirements. Because of this, we feel we have an outstanding EHSMS that will better protect our employees and better serve the needs of our customers,” he said. The R2 certification ensures producers of electronic scrap that the obsolete computers, monitors, and other goods that the companies handling their materials are doing so in a safe, secure and responsible manner. The Waste Commission’s facility provides e-scrap recycling services to residents and businesses in Iowa and western Illinois. Recycling is offered free of charge to or residents of Scott County, Iowa and Rock Island County, Ill. Some areas offer curbside collection of bulky items for recycling. Residents and businesses outside the two core service counties can pay a small fee, based on weight, for recycling services. The facility accepts anything with a circuit board or cathode ray tube, including: calculators, printer cartridges (all types) Cameras, printers (ribbon, laser, ink jet), stereo equipment, mobile phones, computer peripherals, copy machines, DVD players, electric typewriters, monitor and video game equipment. According to the agency’s website, the Waste Commission of Scott County is an inter-governmental agency established in 1972 that operates the Scott Area Landfill, Scott Area Recycling Center, Electronic Demanufacturing Facility, two Household Hazardous Material Facilities, a public education program and a Keep America Beautiful affiliate called iLivehere Quad Cities. Following up on a tradition of education at the E-Scrap conference, the Institute of Scrap Recycling Industries is holding a series of workshops at the annual electronics recycling conference, slated this year to be held in Dallas. The first session will focus exclusively on all the basics of the R2: 2008 standard, providing attendees with details and comprehensive understanding of the requirements to become R2 certified. The session will cater to those looking to learn more about current standards and will highlight changes being considered for R2:2013. Additionally, the Recycling Industry Operating Standard (RIOS™) will be discussed to showcase a successful environmental, health and safety (EH&S) management system. To be successful, both internal and external best practices are necessary with downstream partners. This session will examine both due diligence (R2 Provision 5) and refurbishment (R2 Provision 6). Speakers will provide step-by-step information to build, streamline and customize your own due diligence program as well as examine best practices to implement for testing, repairing and refurbishing electronics. Changes considered in R2:2013 will also be discussed. Registration for both sessions is $125. Registration for a single session is $85. Session speakers include: John Lingelbach of R2 Solutions; Kelley Keogh of Greeneye Partners; Corey Dehmey of Momentum; Rike Sandlin of HiTech Assets; Tracey Blaszak of eRecycling Corps; and Sarah Commes of PC Rebuilders & Recyclers. With more government and businesses becoming cognizant of the benefits of using Certified Recyclers, more and more electronics recyclers are taking the leap and signing on for R2 and RIOS certifications. Currently, more than 250 facilities, many of them in the U.S., are certified to the R2 standard. This certification ensures producers of electronic scrap that the obsolete computers, monitors, and other goods that the companies handling their materials are doing so in a safe, secure and responsible manner. What many companies are finding is that obtaining the dual RIOS and R2 certifications are opening doors to new markets for them. The Recycling Industry Operating Standard™ or “RIOS”™ is the management system standard for quality, environment, and health & safety (QEH&S) specifically for the scrap recycling industry. RIOS™ includes the operational advancements found in ISO 9001 (Q), ISO 14001 (E), and OHSAS 18001 (H&S) — all integrated into one system, so that an organization can avoid the hassle and expense of implementing each of them individually. RIOS™ can also be achieved more efficiently and at a lower cost than other standards. The R2/RIOS™ program was created solely for electronics providers and producers to recycle their products responsibly with the highest standards. R2/RIOS™ allows electronics facilities to meet electronics standards combined with general better practice standards. The R2/RIOS™ program makes it easy to gain both certifications at the same time. “It has helped us tremendously,” said Philip Fava, CEO of PK Metals of Coram, N.Y. The company recently completed RIOS and R2 certifications at its facility. Becoming a RIOS and R2 certified company starts by becoming a member of ISRI and joining the RIOS program. This gives the uncertified companies access to exactly what is in the standard, and some steps on how to prepare for the first visit by the third-party auditors who will determine if a facility has met all of the requirements to become certified. Then, workshops are held to train the implementation team of a particular company or facility, to make sure everyone understands the requirements of the certification program and what their responsibilities are to prepare for the third-party auditors. There is a great deal of organization that must go on before the auditors arrive, Rouse said. After on-site inspections, audits and employee interviews, certification can be granted. Renewal audits are also conducted to ensure continuing compliance. The entire process can take 18-24 months. Fava, whose company started as a metals recycler, said the certifications have helped him shape a better business. “We have found that recycling electronics is completely different from recycling other types of scrap,” he said. In the world of electronics recycling, the prevailing myth is the idea that 90 percent of all end-of-life electronics generated in the U.S. are illegally shipped to Ghana and China, only to be dumped there where local residents live in toxic squalor. Where is this 90% figure coming from? Most news articles don’t source their ‘fact’ of 90 percent of all U.S. electronics being exported. Companies and organizations making this claim throw it out there and don’t back up their facts with statistical, non-partisan reports or analysis. News agencies sometimes are generous with a number given of “50-80 percent”. Scholarly papers are sometimes more generous with “estimates” of “up to 50%” of e-scrap being exported illegally. Where is this number coming from? And why such a wide range? With more than half of the U.S. population covered by states electronics recycling laws that require stringent certifications – with controls on exports a common theme in all certifications recognized by the laws – it’s highly unlikely such a massive swindle of the American public could occur. Even in this document, which serves as the starting point and basis for so many scandalous exposes and stringent laws, doesn’t cite its source. “Industry insiders” is given. No names, no official titles or organizations, just a blanket statement from “industry insiders.” An examination of the report’s source page reveals two interviews with electronics recyclers, both of which expressed support for the activism group opposed to export which published the report. Also on the source sheet are listings for academic sources, magazine editors, articles in trade and national press and public bodies and advocacy groups. Which of these groups of sources is qualified to make such a broad statement? There are no comprehensive reports or studies cited in the paper that determine exactly how much of the e-scrap generated in the U.S. is exported – and where it goes. Answering that question is at the top of every e-recycler’s mind. A study commissioned by the Institute of Scrap Recycling Industries presents a completely different picture of reality for electronics recyclers. At least two non-partisan, non-industry investigations are underway right now to answer that very question: a joint effort by the United Nations University and the U.S. EPA and another by the U.S. International Trade Commission. Let’s look at the closest thing to real-world numbers we have. The EPA, on its website, estimates that in 2009, 2.37 million tons of electronics were ready for end-of-life management. Today, reuse is an enormous part of electronics recycling – ISRI’s IDC study suggests 60% of the volumes collected by recyclers were set aside for repair and reuse. When electronics are exported for reuse or recycling, it is usually because the electronics recycler cannot process or repair the e-scrap cheaply or effectively on their own. Companies that own shredders have no incentive to export electronics for recycling – electronics recycling shredders, even small ones, are expensive to acquire and maintain. They require enormous volumes of e-scrap to remain profitable operations. At the end, however, the electronics recycler has become a manufacturer of raw commodities, and can sell the shredded and separated circuit boards, copper wire, plastics and other metals for far greater prices than they could for a load of raw mixed e-scrap that has not been sorted, shredded or otherwise processed. The trade magazine “Recycling Today” publishes a yearly list of the 20 largest electronics recycling firms in the U.S., by volume processed. Of these firms, most have electronics recycling shredders listed in their services, and many have certifications or have made public commitments that prevent them from dumping electronics in third-world villages. According to the magazine’s research, in 2009 the 16 largest U.S based companies who had their own shredders and who publicly disavow exports processed 945.2 million pounds of electronics – 472,600 tons. That means of the 2.37 million tons the U.S. EPA said were recycled in 2009, these 16 companies combined to recycle 20% of it – already our myth of “90% is exported and dumped overseas” is wearing thin. This study only counts the 20 largest recyclers – and there are hundreds and hundreds of companies, most of them ethical and responsible recyclers. Also, since the 2002 “Exporting Harm” report, electronics recycling has grown in leaps and bounds. With them, more and more states are putting in laws to require Responsible Recycling and other certifications – all of which prohibit the dumping of electronics in developing nations. At one point, the “90 percent” myth may have held some basis in reality – but now, it is an antiquated and outdated notion that needs to be retired. Washington, D.C. –The Institute of Scrap Recycling Industries (ISRI) Inc. today applauded ROUND2 INC., an Avnet company (NYSE:AVT),on earning the prestigious industry designation R2/RIOS Certified Electronics Recycler™. R2/RIOS™ remains the only certification standard tailored specifically for recyclers and focused on promoting quality products, environmental protection, and the health and safety of workers both in the United States and abroad. R2/RIOS™, the most affordable and widely used electronics reuse and recycling certification standard, is derived from a combination of two of the industry’s most stringent sets of guidelines: R2, Responsible Recycling Practices, and RIOS™, the Recycling Industry Operating Standard™. Certification to the two standards for responsible electronics reuse and recycling is recognized in the market as a company that is a R2/RIOS Certified Electronics Recycler™. Electronics recycling is a fast-growing industry that creates good-paying, green jobs and boosts the U.S. and global economies, all while protecting the environment and promoting health, safety and security throughout the electronics recycling process. According to the 2011 Electronics Recycling Industry Survey, the U.S. electronics recycling industry continues to show tremendous growth and strong domestic capacity. The $5 billion-a-year industry that employs more than 30,000 full-time workers in the United States collected and processed over 3.5 million tons of used and end-of-life electronics equipment in 2010, up from 1.8 million tons in 2009. RIOS™ is the first and only standard for integrated quality, environmental and health and safety (QEH&S) management systems developed specifically for the recycling industry. 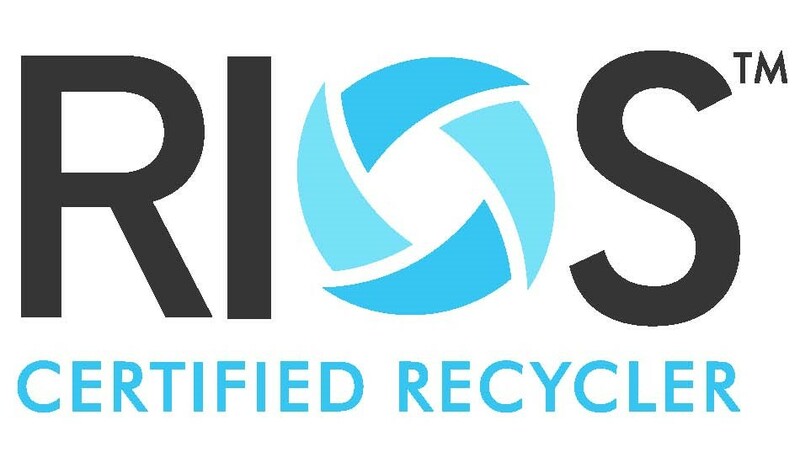 RIOS™ was developed by ISRI, and includes standards for safe and responsible electronics recycling. R2 was the first recycling standard specifically targeting electronics recycling and was developed and supported by stakeholders including the U.S. Environmental Protection Agency (EPA), major computer OEMs such as Lenovo and Dell, the Information Technology Industry Council (ITI), state and local governments and ISRI. R2 includes general principles and specific practices for recyclers disassembling or reclaiming used electronics equipment; its strict “Reuse, Recovery, Dispose” hierarchy of methods ensures that electronic scrap is properly handled. Register for ISRI’s Safety Webinar Understanding Lead Exposures and the Hazards to Your Employees and Company Today!